As an associate professor of Economics at HKUST, I am specialized in International Trade, International Macroeconomics, and Chinese Economy. I am a technically skilled economist with interdisciplinary professional experience, ranging from working for national think-tanks and collaborating with policy makers. Click here to see my short biography. Ph.D., Economics, University of Western Ontario, 2005-2010. M.A., Economics, Peking University, 2001-2003. B.A., Economics, Peking University, 1997-2001. Member of Negotiation in EU-Canada Trade Simulation, with Certificate of Trade Agreement Negotiation Training Programme: June 2010, CTPL (the Centre for Trade Policy and Law), Ottawa, Canada. 2. "Trade Liberalization, Quality, and Export Prices," with Haichao Fan and Stephen Yeaple. Review of Economics and Statistics, December 2015, Volume 97, No. 5, pp. 1033-1051. [BibTex] [PDF download] Earlier version available as NBER working paper No. 20323, July 2014; MPRA working paper No. 51370, November 2013. 3. "On the Relationship Between Quality and Productivity: Evidence from China’s Accession to the WTO," with Haichao Fan and Stephen Yeaple, Journal of International Economics, January 2018, Volume 110, pp. 28-49. [BibTex] [PDF download] Earlier version available as NBER working paper No. 23690, August 2017. 4. "Borders and Distance in Knowledge Spillovers: Dying over Time or Dying with Age? -- Evidence from Patent Citations," European Economic Review, October 2014, Volume 71, pp. 152-172. [BibTex] [PDF download] Earlier version available as CESifo Working Paper Series No. 2625. 5. "Credit Constraints, Quality, and Export Prices: Theory and Evidence from China," with Haichao Fan and Edwin Lai, Journal of Comparative Economics, May 2015, Volume 43 (2), pp. 390-416. [BibTex] [PDF download] Earlier version available as CESifo working paper No. 4370, August 2013. 8. "Price Adjustment to Exchange Rates and Forward-looking Exporters: Evidence from U.S.-China Trade," with Chen Carol Zhao. Review of International Economics, November 2016, Volume 24, Issue 5, Pages 1023�C1049. [BibTex] [PDF download] Earlier version available as HKUST IEMS Working Paper No. 2015-28, July 2015, titled "Forward-Looking Exporter and Exchange Rate Pass-Through: A Micro-Level Investigation". 11. "Quality, Variable Markups, and Welfare: A Quantitative General Equilibrium Analysis of Export Prices," with Haichao Fan, Sichuang Xu, and Stephen Yeaple. Revised & Resubmitted, Journal of International Economics. NBER working paper No. 25611, Feb 2019. 12. "Growth Policy, Agglomeration, and (the Lack of) Competition," with Wyatt Brooks and Joseph Kaboski, Revise & Resubmit, American Economic Journal: Macroeconomics, this version: December 2018. Online Appendix. Earlier version available as NBER working paper No. 22947, December 2016. Highlighted in NBER Report: The NBER Digest, March 2017. 13. "Exploitation of Labor? Classical Monopsony Power and Labor's Share," with Wyatt Brooks, Joseph Kaboski, and Wei Qian, this version: Feb 2019, under review. NBER working paper No. 25660, March 2019. Previously circulated under the title "Exploitation of Labor? Market Power, Firm Cooperation, and Wages". 14. "International trade, technology diffusion, and the role of diffusion barriers," Revise&Resubmit at Canadian Journal of Economics. 15. "Credit Distribution and Export: Microeconomic Evidence from China," with Albert Park and Chen Zhao, Revise&Resubmit at Journal of Comparative Economics. 16. "Coagglomeration of MNEs in Service and Manufacturing Industries: Evidence from China," with Jin Zhang, Revise&Resubmit, Journal of Economic Geography. 17. "Import response to exchange rate fluctuations: A micro-level investigation," with Jenny Xu and Chen Carol Zhao, revised in Jan 2019. 18. "Physical Productivity and Exceptional Exporter Performance: Evidence from a Chinese Production Survey," with Frederic Warzynski and Valerie Smeets, revised in December 2017. 19. "Trade Liberalization, Demand, and Markups of Multi-Product Firms," with Haichao Fan and Frederic Warzynski, revised in March 2019. 20. 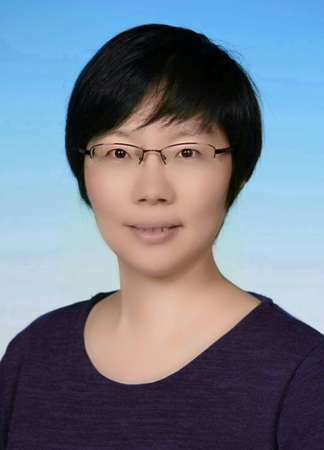 "On the Relationship Between Foreign Ownership and Productivity of Affiliates: Evidence from China," with Minrui Li, November 2017. 21. "Sources of Relatedness between Industries and Revealed Comparative Advantage: Evidence from China," with Linke Zhu, revised in Jan 2018. 22. "Determinants of International Bilateral Payment Flows and the Potential of the RMB as a Significant Payment Currency," with Edwin Lai, March 2019. 2. 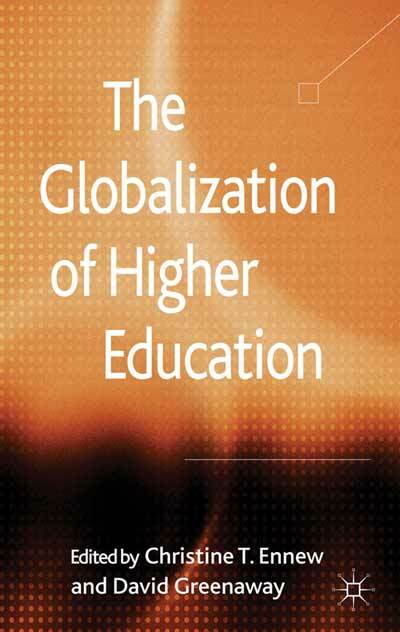 Li, Yao Amber, John Whalley, Shunming Zhang, and Xiliang Zhao, "China's higher education transformation and its global implications," In Christine T. Ennew and David Greenaway (Eds), The Globalization of Higher Education, Palgrave Macmillan, Hampshire, UK, 2012, pp135-162. "信�J�s束�ι��a率�c出口�r格�P系的影�", with 樊海潮、郭光�h, 世界���(The Journal of World Economy), 2015年12期.